The ultra-compact material made by Cosentino Group for the world of architecture and design makes its entrance into the world of tennis at the Mutua Madrid Open, the only combined ATP World Tour Masters 1000 and WTA Premier Mandatory event held in Europe. As a major and official sponsoring brand of the tournament, Dekton® will be making the Mutua Madrid Open the most ultra-compact tournament in the world, playing a leading role in several events that are sure to attract the attention of all of the spectators at la Caja Mágica during the tournament’s 15th Anniversary. Product placement, hospitalitys, social media, prize draws, special events and a spectacular surprise in the form of a culinary tennis court will be just a few of the highlights that will show off all of the features of this 21st-century product. What’s more, spectators at la Caja Mágica over the course of the MMOpen16 will be able to see first hand Dekton® qualities, as a variety of spaces and areas of la Caja Mágica will be covered with this ultracompact surface. 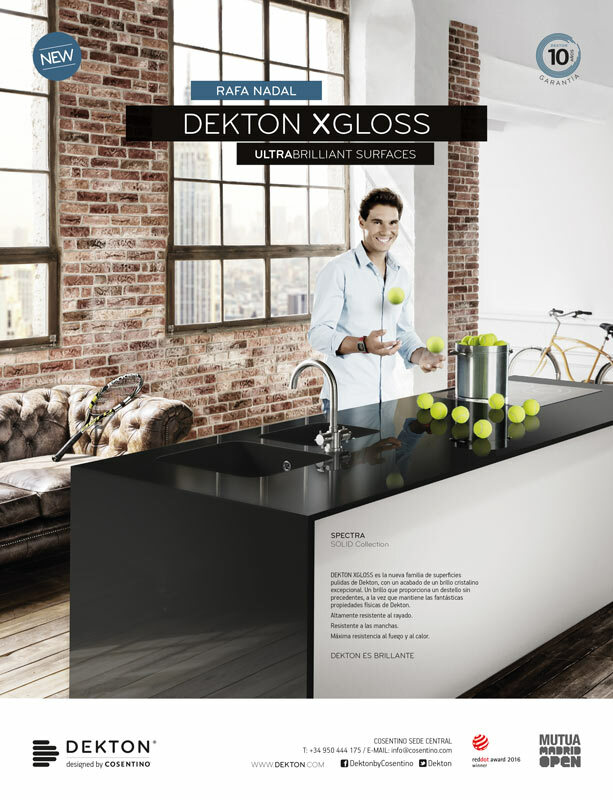 As proof of its versatility, Dekton® will be used for surfaces and counters, flooring or wall surfaces. Of special interest will be a walkway made from the latest Dekton® collection XGloss, which was seen at the last Madrid Fashion Week in the label Ailanto’s show, as well as a show cooking kitchen that will doubtless be at the heart of the leisure activities on offer at this years’ tournament. Dekton® is the fruit of over 22,000 hours of research, incorporating PST technology developed by Cosentino and used by the most prestigious international architects. It is suitable for a variety of indoor and outdoor uses, already employed in thousands of homes around the world. Here, it is put to the test in one of the most demanding of sports. Just three years since its launch, Dekton® is already a brand recognised all over the world as being synonymous with advanced technology, versatility, design and innovation. What’s more, last week the brand’s latest collection, XGloss, received the prestigious Red Dot Best Product Design 2016 award. 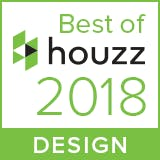 Under the title “DEKTON. UNLIMITED.”, the campaign presented the perfect combination of Rafa Nadal, whose talent, strength and versatility on any surface has made him a world leader in sport, and Dekton®, a product made unique by its resistance, advanced technology, durability, versatility and beauty.